If you want to do something that immerses you into the culture of East Tennessee, you have to go to Dollywood while you’re in town. You’ll taste the food of the south, hear country and bluegrass music, and experience old-timey crafts when you come. We have a list of 5 reasons why you should visit Dollywood when you stay with us. Staying close to attractions is great, especially when they’re as popular as Dollywood. Our hotel is about 4 miles away from the park, so you can be one of the first guests at the park! When you’re so close, you’ll skip a lot of traffic that you would find if you stay farther away from Dollywood. And when your fun-filled day is over and you head back, you won’t have to travel far! One of the major attractions in Dollywood are the shows and entertainment you’ll find. Get a sensory-filled experience of the Smoky Mountains at Heartsong, a film that Dolly Parton is in! The whole family can learn about birds of prey at the Wings of America show. If you love music, you won’t be disappointed with the show selection here! 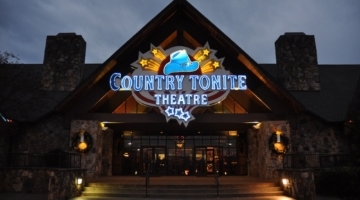 You’ll find shows including gospel, bluegrass, country, pop, and music from the 50s and 60s. If you come around the holidays, you’ll find all kinds of entertainment for the family, including Christmas in the Smokies and It’s a Wonderful Life. No matter if you have thrill seekers or people who want a gentle ride, Dollywood has rides for everyone! Kids will love the merry-go-round, Busy Bees, Lucky Ducky, and more. For exciting rides, you’ll find Blazing Fury, the Barnstormer, and the Dizzy Disk. If you don’t enjoy fast-paced rides, the Dollywood Express is something the whole family will love, riding around the park on a train. Cool down on hot summer days by riding the Slide Winder, Daredevil Falls, and River Rampage. For the roller coaster lover, you’ll find plenty of coasters to choose from, like the Thunderhead to the Wild Eagle. Sometime in spring of 2019, a new area called Wildwood Grove is opening with new rides and attractions the whole family will love! 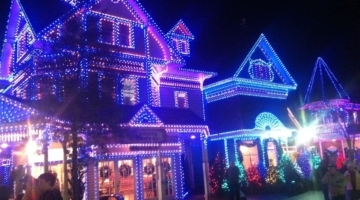 No matter what time of year you visit, festivals and events are happening at Dollywood. During the spring, guests will find entertainment, food, and crafts from around the world during Festival of Nations. If you want to experience the culture of appalachia, you won’t want to miss Barbeque and Bluegrass. The summer season includes firework shows every night in celebration of the 4th of July. Kids and adults will love the Harvest Festival during the fall, which includes the Great Pumpkin LumiNights. For breathtaking lights and plenty of shows, Smoky Mountain Christmas is an event you won’t want to miss. Food is half of the experience of Dollywood. You’ll find all kinds of restaurants and snack booths! When you walk into the park, you’ll immediately be greeted by the scent of freshly baked bread and sweets from the Spotlight Bakery. If you have a sweet tooth, you’ll want to check out the Sweet Shoppe for all kinds of candies. For a street food feel, head over to Market Square Skillets and Dogs N Taters. You’ll also find plenty of places to sit and eat, like Aunt Granny’s, Red’s Drive-In, and Miss Lillian’s Smokehouse. And before you leave the park, you have to try the cinnamon bread at the Grist Mill! There are plenty of reasons to plan a trip to Dollywood while you’re in Pigeon Forge. Everyone in your family will have fun with all the entertainment, rides, and foods to try. Browse our available rooms now and start planning your trip!